This is Todd Sheets writing from Heilbronn, Germany. This is my first time posting to the blog and I’m happy to say that everything is going great! I have had an amazing first few weeks in Germany with a ton of great experiences. I keep a full log of exciting things that I do on my YouTube channel (link below). But for today, I would like to share one experience that I felt was moving and made me realize how fun studying abroad is going to be. When I first arrived in Germany I did as most do and got situated in the city. Moved in to my apartment, looked for local grocery stores, and of course got some local food! Soon after I got in contact with an old friend named Christoph. Christoph was a exchange student at my high school for a year to learn English, and he was nice enough to invite me to his home and to meet his family. I traveled to a small town in Germany to meet up with Christoph, and when I arrived I was greeted by him and his family and a home-cooked meal. This is when I felt that I had truly been immersed in a new culture. Eating the food and hearing the German language was a really enlightening experience and cleared me of any doubts I had about study abroad. 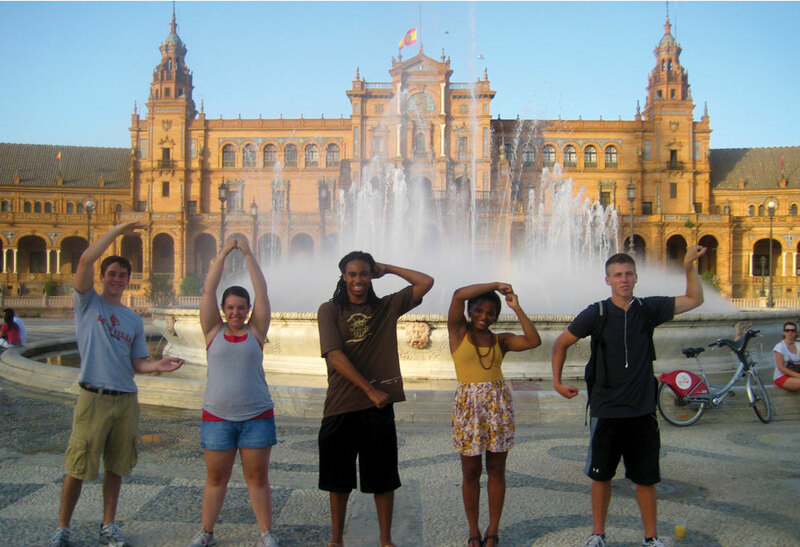 I think it is important for anyone studying abroad to reach out to the local culture and experience something new. And if you are reading this and thinking about studying abroad in the near future, I can’t urge you enough to do it! That’s all for this first post. Feel free to follow my YouTube if you would like to see more about my travels and also my Instagram for the same thing. Links below. This entry was posted in Uncategorized by tashee01. Bookmark the permalink.